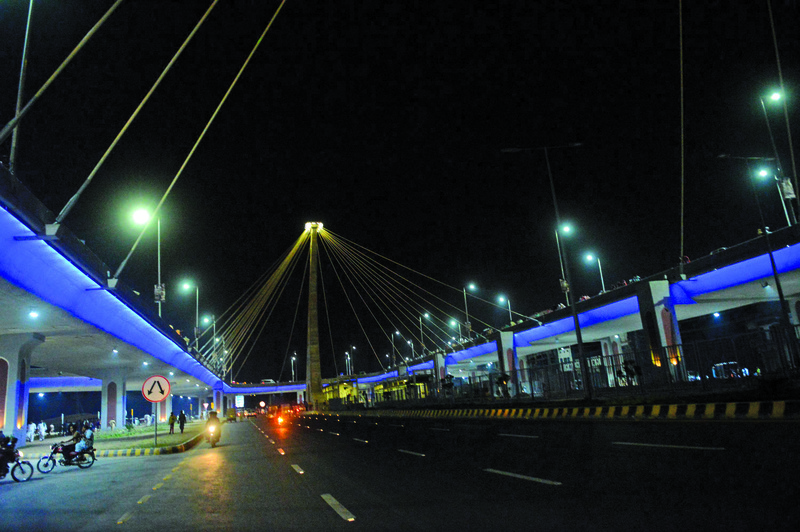 The construction of the Azadi Interchange, popularly referred to as the Azadi Chowk Flyover, was completed last month. It was recently opened for traffic just in time for August 14 – Pakistan’s 68th Independence Day. A record milestone… Constructed in a record six months at a cost of approximately five billion rupees, the Azadi Chowk Flyover stretches for 2.53 kilometres and is believed to be Pakistan’s longest signal-free corridor. It is also Pakistan’s only five-ramp flyover, (most flyovers in Pakistan usually have a maximum of two ramps) and is accessible via Ahmad Ali Road, Ravi Road, Taxali Chowk, Timber Market and Shahdara.